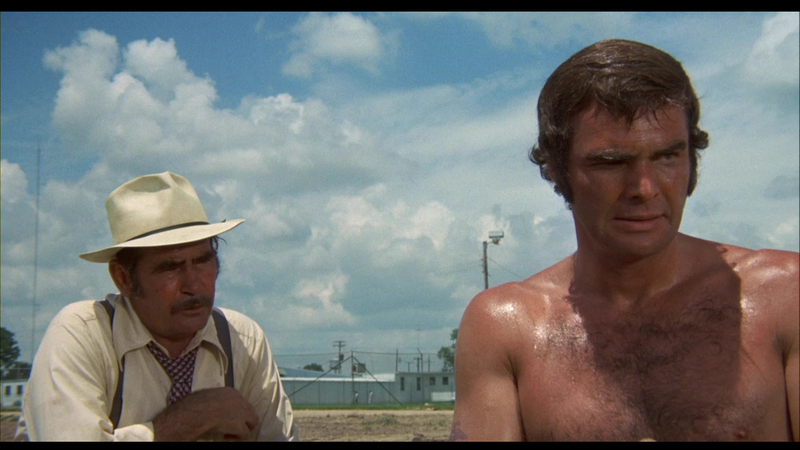 There's no question that Burt Reynolds owned movie theaters in the '70s, and if there's a ground zero for his trademark down-home bad boy persona, it's his role in two films as Gator McKlusky, moonshiner and tough guy extra or din ai re. 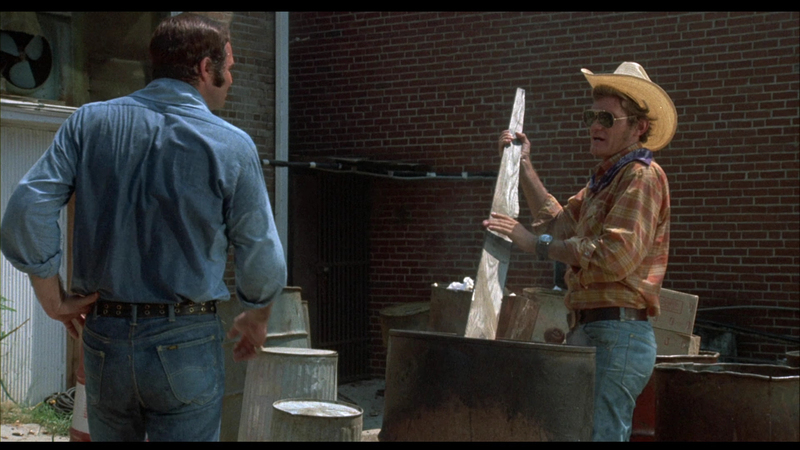 Reynolds had scored a major hit in '72 with Deliverance and hit it off with the locals in Georgia, so it made sense for him to stick with a Southern persona in White Lightning, a deep-fried tale of corrupt lawmakers and revenge shot in Arkansas by director Joseph Sargent, a TV vet who would score the following year with the popular The Taking of Pelham One Two Three. 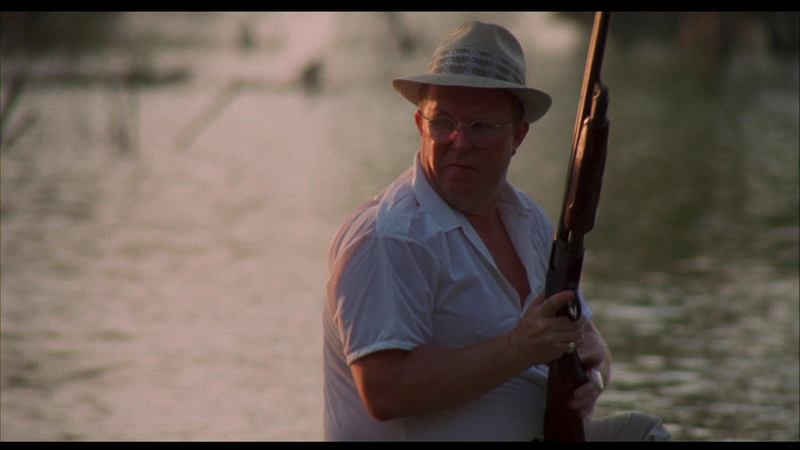 Things start off a fairly sadistic note for a PG-rated film as shotgun-toting Sheriff Connors (Ned Beatty) and one of his cohorts canoe through a swamp to another nearby boat, populated by a gagged and bound young couple. One well-timed blast sends the captives slowly sinking to their deaths in the water, and we're off on running as we find out one of the dead kids was the little brother of Gator, a bootlegger now serving time in an Arkansas penitentiary. The feds show up offering to spring Gator if he agrees to use his skills to help them take down Connors, who's running a nasty criminal ring with bootlegging as one of its mildest offenses. 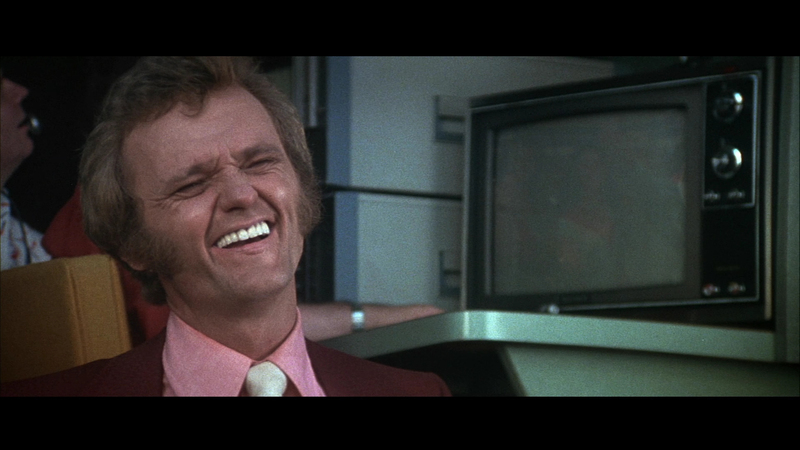 Boasting a very colorful supporting cast including Bo Hopkins (reuniting with Reynolds after The Man Who Loved Cat Dancing), the reliably gruff R.G. Armstrong, drawling Louise Latham, and a young Diane Ladd (whose daughter, Laura Dern, makes a brief kindergarten-era appearance). However, its greatest assets were behind the camera courtesy of stunt coordinator Hal Needham, who would go on to direct Reynolds in several films starting with Smokey and the Bandit, and composer Charles Bernstein, whose flavorful score would later make a cameo appearance in Kill Bill: Vol. 1 and Inglourious Basterds. 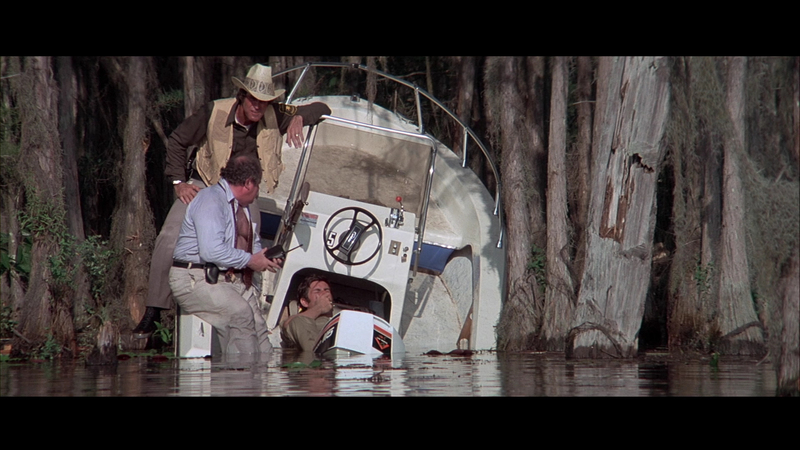 Three years later, Reynolds took up the feature film directorial reins for the first time for a sequel, Gator, which shifted locations to Georgia and switched the visual scheme from flat 1.85:1 to a more spacious, gliding 2.35:1 Panavision shot by expert cinematographer William A. Fraker (Rosemary's Baby, Bullitt). (That doesn't explain why several shots were deliberately shot slightly out of focus, but presumably it was on purpose.) Here the vengeance aspect is dropped entirely but the formula is pretty much the same as Gator is recruited from his idyllic post-prison swamp life of living with his cranky dad and petting puppies to help bust up a corrupt county the unnamed Governor (TV host Mike Douglas, a weird bit of casting if there ever was one) wants to have nice and clean in time for the next election. 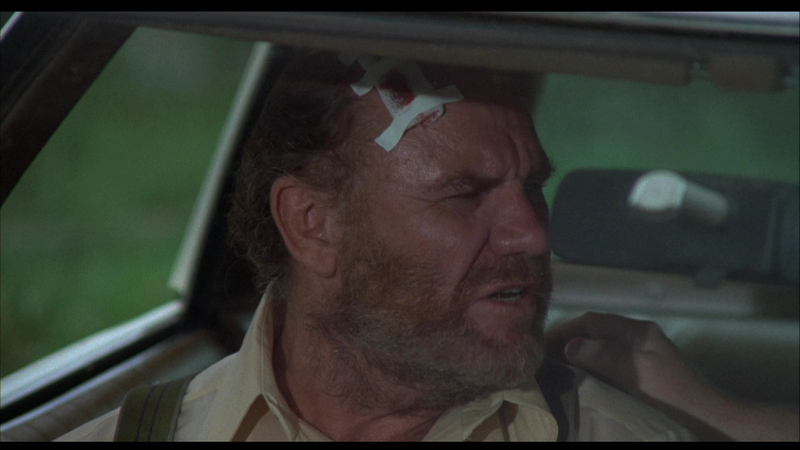 Brought in to recruit Gator (at first with disastrous results) is fast-talking New Yorker Irving Greenfield (Weston), who recognizes Gator's value as a colleague of the main culprit, Bama McCall (Jerry Reed, a frequent future fixture in Reynolds movies and the best actor here). Also on hand is pretty, quirky reporter Aggie Maybank (Hutton, taking her character's name from her grandmother) as the requisite love interest, but more importantly, both Needham and Bernstein are also here to ensure that we get plenty of great, twangy music and ridiculously dangerous stunts galore. Running nearly two hours (a virtual epic for a drive-in movie), Gator manages to run fast and furious for the entire running time and features an excellent feel for Southern life with an emphasis on the geography, sweltering heat, and local manners of the area. 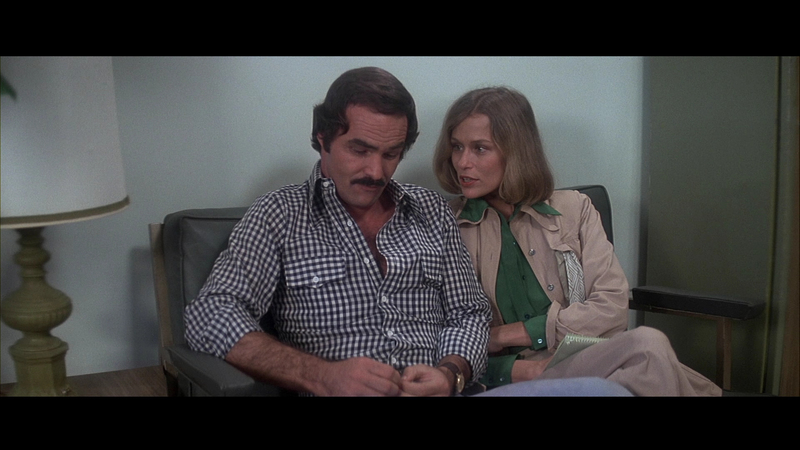 Now sporting his trademark mustache, Reynolds slips easily back into the role and makes for a likable hero, while Reed makes for a much more interesting, unpredictable villain this time around. The addition of Hutton and Weston as wild cards is a nice touch as well, and while the plot doesn't come close to reinventing the genre at any point, it moves along like a well-oiled machine for maximum entertainment value. Both White Lightning and Gator were notoriously botched DVD releases from MGM, both stuck with cruddy full frame transfers that demolished the compositions of the second film in particular. Those eyesores were recycled in various double- and triple-feature combos for the bargain bin market, though flat letterboxed transfers popped up on TCM and later in improved 1080i renditions on MGM HD (albeit a slightly overzealous application of noise reduction). A widescreen version of White Lightning finally popped up as a DVD-R double feature from TGG Direct paired up with The End, oddly enough, but the compression left a lot to be desired. 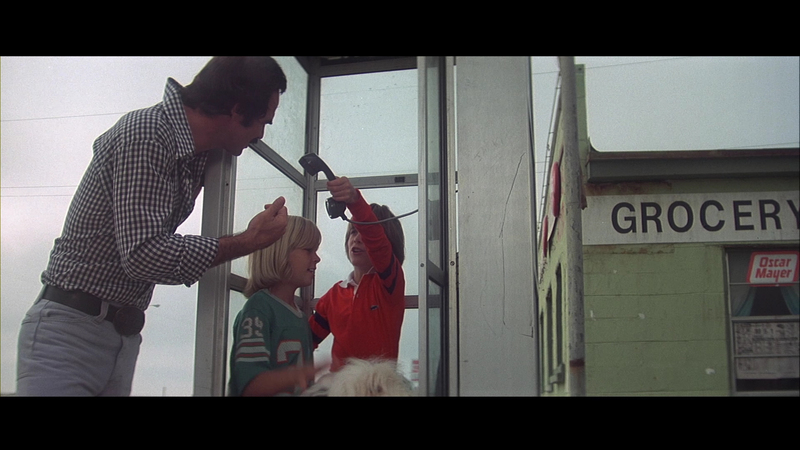 Gator fared worse, remained cropped even on TGG's triple feature with Breaking Inn and Fuzz. The 2014 releases from Kino Lorber on Blu-ray and DVD are a significant improvement, showcasing the very different looks of the films with the latter looking especially sharp and vibrant thanks to its slicker lensing. The grain structure looks more natural here while detail is improved over the HD airings; in short, it's the presentation fans have been pining for since those abortive DVDs. The DTS-HD two-channel mono tracks sound great with the music in particular packing a nice punch. Both films feature their respective theatrical trailers (the single-minute one for Gator with Reynolds talking about making his directorial debut is priceless), but sealing the deal for fans are new 10-minute interviews with Reynolds on both titles as well. He's upbeat and candid about the productions, talking about a young Steven Spielberg being attached to White Lightning before backing out since he'd have to leave the lot. He assesses screenwriter William W. Norton (who penned both films) as a real-life tough guy who did many of the things he wrote about and offers his opinions about most of his fellow actors, most memorably talking about Hutton as "a little crazy" thanks to her habit of flashing the crew. Needless to say, it sounds like a fun set. Reviewed on February 6, 2015.